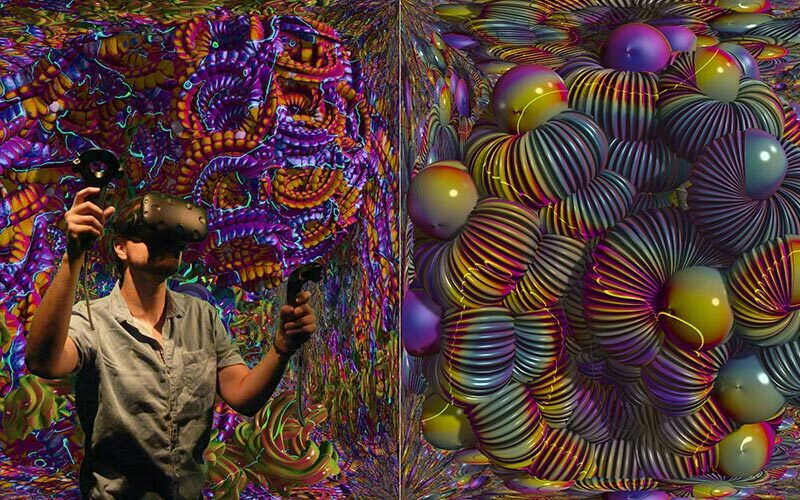 Computer art in virtual reality created by artist William Latham with mathematicians and software developers Stephen Todd and Lance Putnam. East GalleryNUA was the first art gallery venue worldwide to exhibit Mutator VR, a Virtual Reality installation using original software modelled on the processes of evolution. 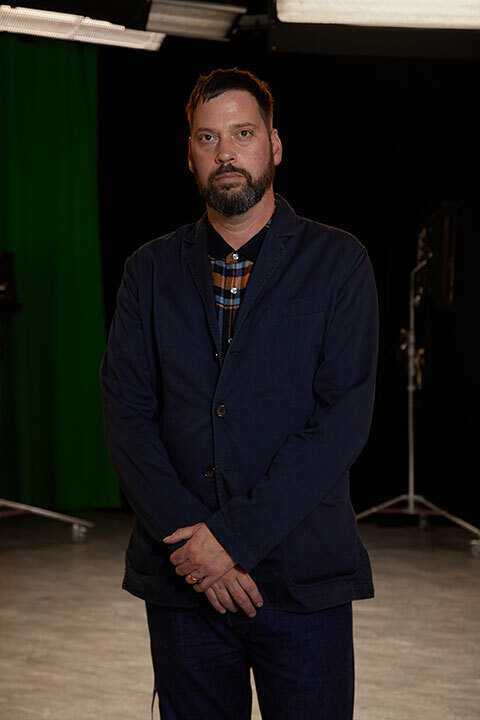 Mutator blends organic imagery with state-of-the-art, real-time computer animation to create a highly immersive and original audience experience. Starting with a simple cornucopia form, the Mutator code introduces random ‘per-mutations’ in order to generate increasingly complex three-dimensional entities that resemble fantastical, futuristic organisms. The works refer us to Giger-esque ancient fossils, molecular structures, heavy metal architecture and Escher-like space-conundrums. Latham describes this process as “evolution driven by aesthetics”. In East GalleryNUA the viewer experiences the work by wearing a HTC Vive VR Headset, equipped with two hand controllers to conduct the evolution of the artwork. The viewer wears headphones as part and parcel of an immersive sound experience. Mutator VR was developed at Goldsmiths, University of London and The Digital Creativity Labs, Winchester. James Duez and Ben Taylor (Rainbird).